Refinished basements are great additions to homes. Basements are a good space to add a second living room, an office, bedrooms, playrooms, and even an apartment. The increase of area can also add value to your home if you ever plan to sell. 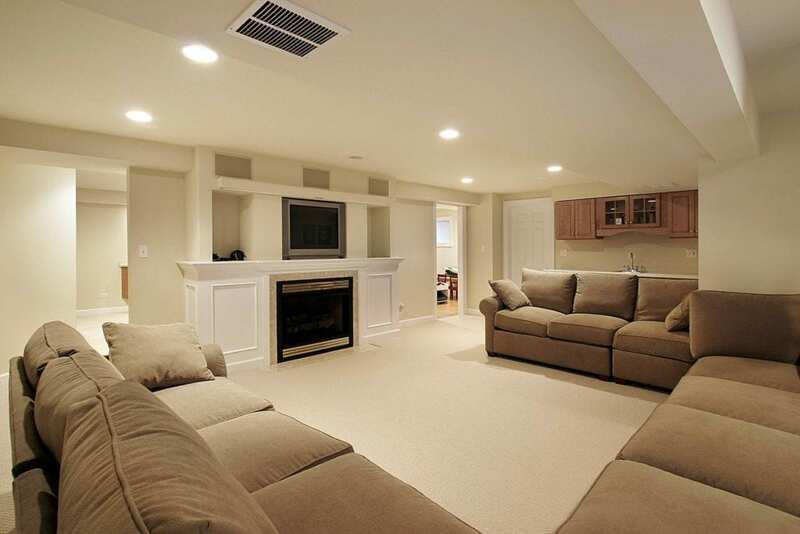 Before having your basement refinished, here are several factors to consider. It is essential to look for water spots or puddles, drips coming in, cracks in the foundation walls, and making sure your ground grades away from the foundation before you even start planning. Also, after you check for visible water signs, it is equally important to ensure your basement is as moisture free as possible. Basement water damage or prolonged moisture issues are costly to repair, so it is imperative that you have foundation cracks or leaks fixed before refinishing. Whether you are doing some of the work yourself, or you have hired professionals to complete the project, it is essential to check with your city to make sure you obtain proper permits and are aware of the city codes for home construction. Electric and plumbing work both typically require an inspection, and sometimes also require permits. Understanding the requirements for home improvement can help you better plan, and save you from the expense of having to have anything redone in the future. Moisture is the most significant problem that people face in their basement, especially in places with a lot of rain or snow. Here are three ways to secure your basement from moisture. Basements get damp reasonably quickly but having a vapor barrier added to your floors and walls before framing can help block moisture from coming in. If you want to check if you’re getting moisture before you start framing, you can add a vapor barrier and let it sit for at least a couple of days. Then, check underneath the barrier to see if there is moisture present. While a vapor barrier can make a difference in the moisture of a basement, sometimes it is still an issue. If your basement still has moisture after a vapor barrier has been installed, there are furring strips that can be added to your outer walls to help protect it. Furring strips can be metal or wood, and they are used to create flat surfaces, level walls that appear wavy, and add an offset from the wall to protect it. Insulation’s primary purpose is to help regulate the temperature in your house. Houses with good insulation stay warmer during colder weather and cooler in the summer, which helps reduce utility costs. Another great use of insulation is another moisture barrier. There are insulation rolls that have a vapor barrier on both sides, and those are the best for basements, especially those with a risk of moisture. Basements are naturally cooler than upper levels because they are underground. Because hot air rises, having vents installed at floor level in the basement is a good use of energy. Instead of trying to heat from the ceiling or walls, if the heat from floor vents will rise and expose your basement to heat all the way through. Home renovation projects can be rewarding, and many people embrace the idea because of the potential for saving money. However, significant renovation jobs that require expert knowledge of city codes, fire codes, inspections, and more are often better left to contractors. Hiring a company that knows the ins and outs of basement renovations are usually more affordable than trying to complete a complicated job without having the proper knowledge. A refinished basement space can be a great addition to your home, adding area without having to add on. Developing a firm understanding of the complexities of basement refinishing is a great place to start.